1950 Veritas Scorpion. Photos courtesy Bonhams Auctions. The postwar years were a bleak time for European automakers, including Germany’s BMW. Its factories in East Germany were taken over by the Soviet Union, while those under Allied control in the west were prohibited from manufacturing new automobiles or motorcycles. Such rules didn’t stop a group of enterprising former BMW executives, who began building racing and sports cars under the Veritas name in 1947. 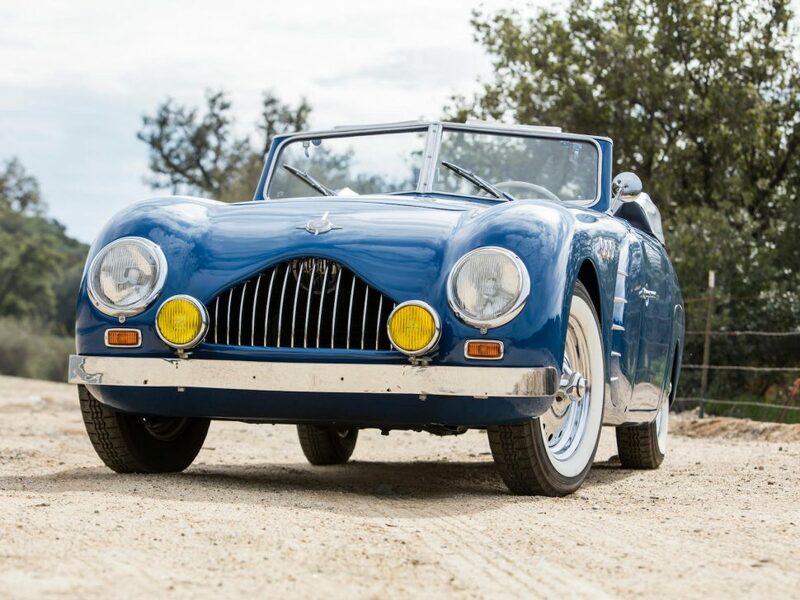 Fewer than 80 Veritas automobiles were reportedly built before production ended in 1950, making the 1950 Veritas Scorpion cabriolet set to cross the Bonhams auction stage on March 7 a rare find indeed. Veritas, or more accurately the Veritas Works Joint Venture for Sports and Racing Cars, was founded in May 1947 by Ernst Loof (the former head of BMW’s racing division), Lorenz Dietrich (BMW’s former sales manager), and Georg Meier (a successful motorcycle and automobile racer in the prewar years). Initially, the firm was located in Hausern, in the American sector, which presented a unique set of challenges. The construction of new cars or new engines above 1 liter in displacement was verboten, so the trio focused its energies on obtaining as many prewar BMW 328s and components as it could. In the firm’s early days, customers were required to bring a derelict BMW 328 (or, minimally, the engine and transmission from a BMW 328) to its modest factory. There, Veritas would rebuild the inline six-cylinder engine, fitting a custom-ground camshaft and new cylinder head with larger valves, before adding a single-seat body. Two weeks – and DM35,000 – later, buyers could pick up their for-competition-use-only BMW-Veritas roadsters. BMW soon learned of this and strenuously objected to the use of its name in association with the effort. Perhaps the firm shouldn’t have been so hasty, since Veritas’s first customer, Karl Kling, drove his car to a win at Hockenheim, later collecting the 1947 German 2.0-liter championship. Veritas would repeat as champion in this category in 1948-’49 as well, giving rise to the firm’s early reputation as a giant killer on the race track. In March 1948, Veritas relocated from Hausern to Messkirch, located in the French sector. By year end, the firm had produced 17 racing cars, each built to the customer’s standards and requirements. 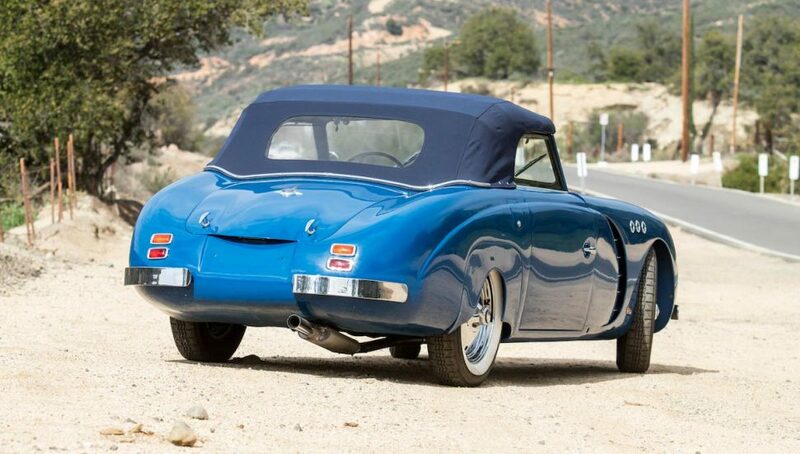 Ultimately, however, success hinged on building Veritas models for the road, and in 1949 the company produced the Veritas Comet, a thinly disguised – but road-legal – variant of its Veritas RS competition cars. Later models, including the Veritas Scorpion cabriolet and the Veritas Saturn 2+2 coupe, were more sophisticated and more comfortable. 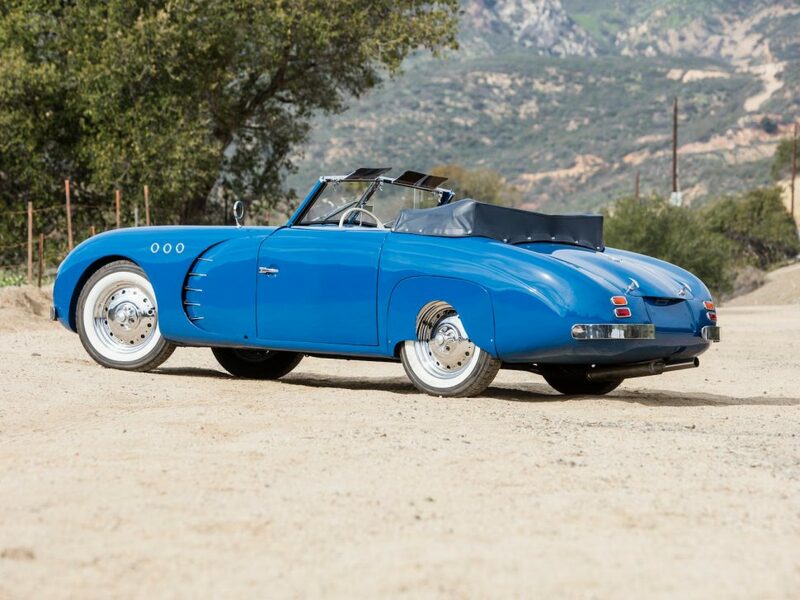 Coachbuilder Spohn provided aluminum bodies, and engines were sourced from BMW, with buyers able to choose from a 55-hp six from the BMW 326 or an 80-hp six from the BMW 328 (though the Comet sports coupe could reportedly be ordered with an engine producing up to 150 hp). In 1949, Veritas moved again, this time to Rastatt, setting up a new factory with the help of the local government. BMW engines were soon replaced by a new 1988-cc inline six-cylinder engine designed by Erik Zipprich and built by Heinkel, but the design wasn’t tested sufficiently before being deployed. Early customers reported problems, but this didn’t stop Veritas from taking orders for over 200 automobiles at the 1950 Geneva Auto Show. The new engine turned out to be the least of the firm’s worries; without sufficient capital to procure parts (and denied further credit by the Baden state government), Veritas could not produce the cars on order. From this point, Veritas split more or less in two. Dietrich remained in Rastatt, rebodying Dyna-Panhards with bodies from Baur of Stuttgart and selling these as the Dyna Veritas. Loof moved on to the Nürburgring, where he set up shop in the old Auto Union facility, tuning racing cars and announcing a line of Heinkel-powered cars under the Veritas-Nürburgring name (with very little success). The history of chassis 5095, the 1950 Veritas Scorpion to be sold in Florida, is largely unknown. Any production records from Veritas in its three primary locations have been lost to history, and experts project the firm built just 78 cars in total (excluding the Dyna Veritas and Veritas-Nürburgring models). 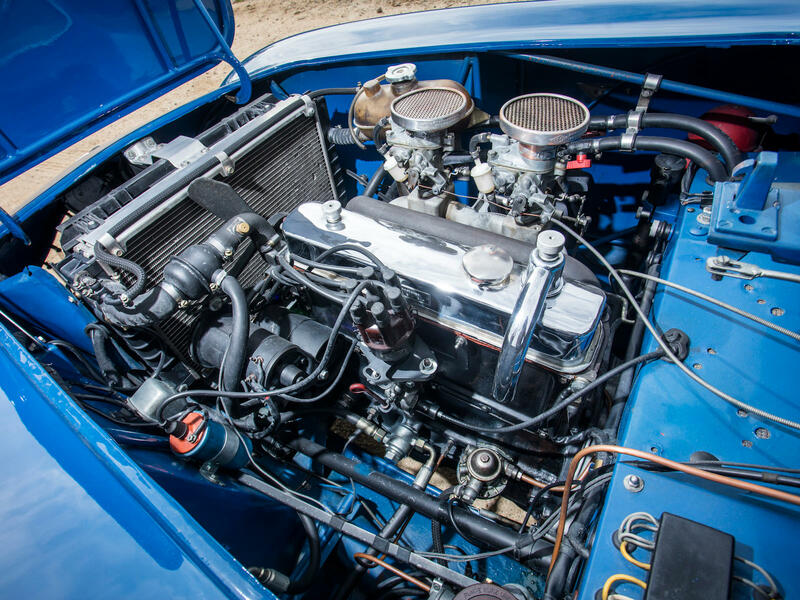 At some point in its history, the original engine was replaced by a two-carburetor version from a BMW 327, though it’s also possible – based upon available components – that this (or a comparable engine) was installed at the factory. 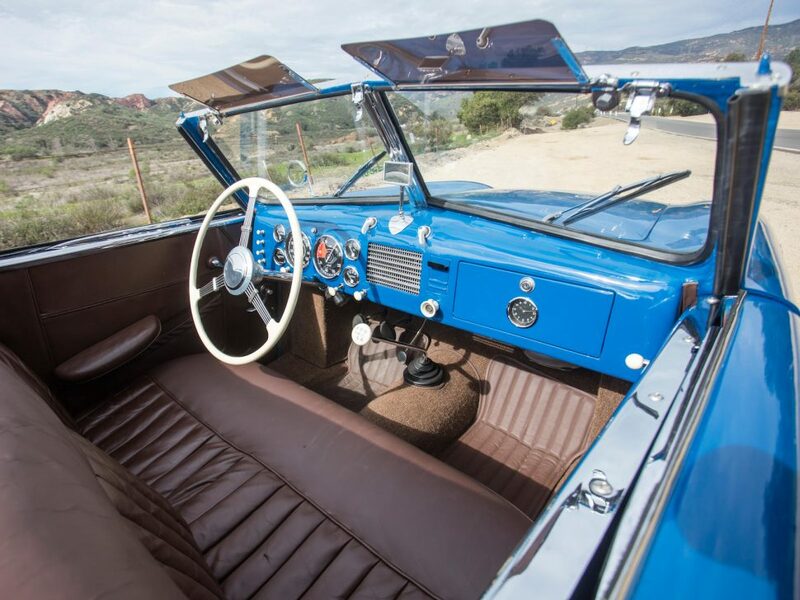 The car was given a comprehensive restoration in the early 1990s, when it was finished in the current shade of medium blue with a brown interior. To enjoy the car on modern roads, one owner installed a modern radiator and electric fans, along with an oil cooler. More recently, the Scorpion was recommissioned by BMW Classic, which addressed existing mechanical and cosmetic issues, carrying out what’s described as a sympathetic restoration. As offered, the car comes with German registration documents, invoices detailing the work carried out by BMW Classic and an inspection report dated April 2018. 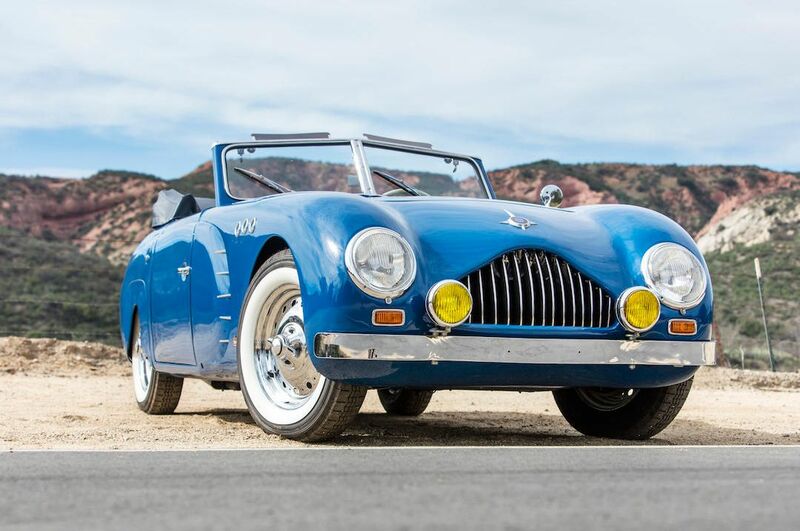 Bonhams predicts a selling price between $350,000 – $400,000 when the 1950 Veritas Scorpion cabriolet crosses the auction stage at Amelia Island. For comparison, a period-correct 1949 Veritas Scorpion, which earned a third-in-class ribbon at Pebble Beach in 1992, sold at a 2015 Bonhams auction for $907,500. For more details on the upcoming Amelia Island sale, visit Bonhams.com.